"There is nothing elitist about classical music. That's completely ridiculous," Thomas Hampson says. It's remarkable how early artistic experiences can point a person in the right direction. 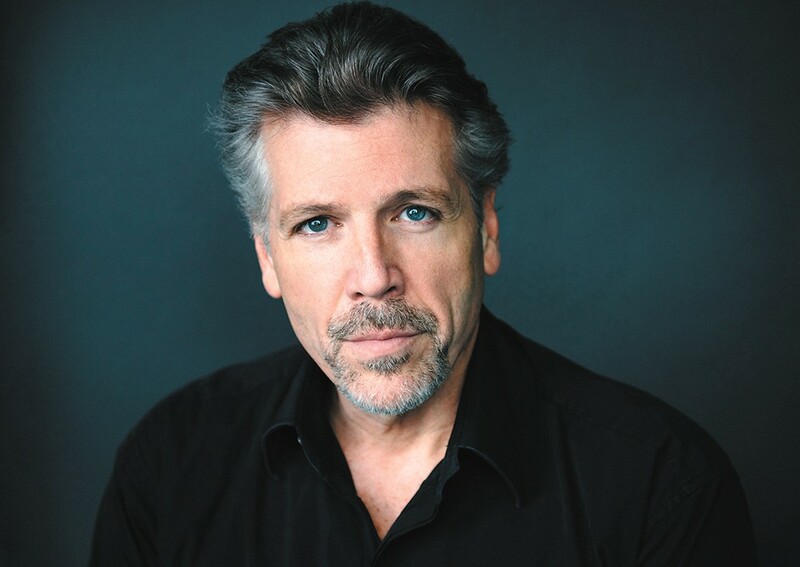 For Thomas Hampson, one of the world's most renowned baritone classical vocalists, that experience came at Spokane's Fox Theater when he was in high school at Upper Columbia Academy, a Spangle boarding school run by the Seventh-Day Adventists. A trip to Spokane meant some time away from the religious school leaders, a chance to hold hands with a girl in the Fox's balcony — "quite frankly, in Spangle, a big deal" — and the discovery of what would become his life's work. "It was the first time I heard a symphony, and I'm sure it was a Mozart symphony," Hampson says of that day in the early '70s. "I sat there agog at the various instruments, all at the same time creating a tapestry of harmony and melody that just seemed like such a bouquet of colors and sounds to me. It just immediately and endlessly fascinated me." While Hampson's school offered some music and chorale-singing opportunities, his education blossomed at college, when he studied political science at Eastern Washington University while concurrently earning a degree in Voice Performance at what was then Fort Wright College. As the '70s came to an end, a series of successful auditions and work with increasingly impressive mentors led to Hampson winning the Metropolitan Opera National Council Auditions in 1981. Tours across Europe followed, establishing him as a go-to talent for lead roles in operas like Don Giovanni and The Barber of Seville, and as a renowned recital performer with a repertoire incorporating a variety of musical styles and languages, spanning eras in the classical canon. "I'm thrilled that Spokane still claims me as part of their history and musical life," Hampson says. "I'm proud to be from Spokane, and in any biography I list Spokane as my hometown. I didn't go to school in Spokane, I didn't have a lot of friends in Spokane, but this is where I become Tom Hampson. It's where I found out I actually am talented, I actually am musical. It's where I first made an attempt at living an artistic life." After Hampson's first solo recital in New York City in 1986, the New York Times praised his performance for his "commanding stage presence" and "vivid theatricality" as well as his "good looks." Cruise through Hampson's Facebook page, and you'll see those things are still intact more than 30 years later, judging by the swooning comments. Hampson is still an international headliner because he has the vocal chops. They're showcased on his new album, Serenade, and will be the focus of his "Overtures and Arias" program with the Spokane Symphony this weekend, Hampson's first appearance here since 2009. "As a singer, I'm not the youngest anymore, and I'm not the oldest," Hampson says. "As long as you can do what you do, you need to do it. And I have no compunction about moving that dial into some other emphasis, but as long as I can do what I do as a singer, I'm going to do that." The other "emphasis" for Hampson is education. Between touring nearly 11 months every year — he and his wife have apartments in New York City and Zurich, Switzerland, that he rarely sees — he works with music students, and since 2003 has run the Hampsong Foundation to help teachers of all disciplines use music to promote cultural literacy. He also teaches Master Classes at many tour stops, including Spokane, where he works with local talent to impart some of his hard-earned wisdom. For Hampson, acting as an ambassador for classical music and education is vital in keeping the music he loves alive, and making it connect with everyone. "There is nothing elitist about classical music," Hampson says. "That's completely ridiculous. We would not have the classical music canon we have if not for the unbridled creativity borne of democracy and the right to express! "That [classical music] is sometimes too caught up in itself about its own excellence that it forgets its purpose for the people for whom it is here? This I will completely agree to. I think in classical music, we have been remiss the last two or three generations to keep up with people's understanding." The renovation of the Fox Theater as home base of the Spokane Symphony is one example of keeping communities connected to classical music. Hampson was a big part of the fundraising and awareness campaign for the project that resulted in the grand reopening; he played the last show before it went dark for the refurbishing, and was part of the reopening festivities in 2007. Hampson still marvels at the wonderful sound on the Fox's stage, noting that even though it was originally built as a movie house in 1931, the movies came accompanied with live symphonies "so this thing was built to sound good from the get-go." "It hearkens to a time in this country when we really placed serious value on the quality of one's mind and life," Hampson says of the Fox. "I don't mean that as a political statement, but the humanities just played a more significant role in one's perspective.